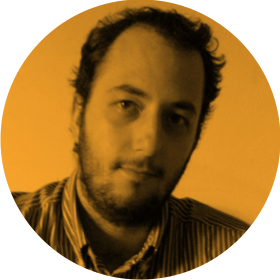 Charalampos Doukas is a researcher and IoT Maker, and is passionate about combining different hardware systems with software and services using the Internet. We caught up with him ahead of his appearance at RE.WORK Future Cities Summit. We are an organisation that (among other activities) we are focusing on user engagement, training and delivery of technologies that enable citizens to become part of shaping the future cities process. Believing strongly in the entrepreneurial and innovative spirit, we lead projects that deliver tools for individuals, startups or SMEs to build solutions that involve connectable objects and communication with services and applications. The biggest obstacle is proper technology adoption, in the context of identifying, implementing and deploying useful and meaningful solutions for the citizens. The technological obstacles of the past (communication, sensor size and prices, power consumption, etc.) don’t exist anymore, at least in the same extend that has prevented connectable objects and services to be deployed in large scale. What is holding back the integration process, is the lack of appropriate bottom-up designed use cases that would demonstrate the usefulness of the emerging technologies to both citizens and stakeholders (such as city authorities). UX experts with a better understanding of the available technologies and the skills to design simple and easy to use interfaces. Sociologists who can identify and match the current and future societal needs with the features and solutions of the current and the trending technologies. Technologies are not that useful without the societal participation in the whole process of product/service design and development. What makes me excited is the upcoming notion of citizens involvement in making things, and the technologies that allow that. The shift from closed systems towards more open processes in the production. Crafting technologies (such as laser cutting, 3D printing, etc. ), open source software and hardware and access to Open Data that allow everyone to design, develop and build prototypes for their cities. Prototypes about sensory systems that can help people understand better issues like air pollution, waste and resource management. Prototypes the allow the better management and utilisation of city of resources (public transport, energy management, etc.). Empowering the citizens not only to consume the city services but be part of the design, development and deployment.